Every year, Karma English Academy has a Halloween party. 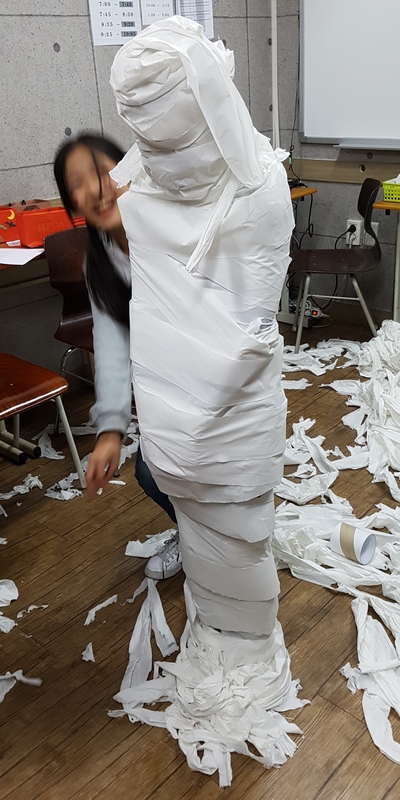 The tradition has become that I run an activity room at the party, where visiting cohorts of students compete to make the best tissue paper mummy. This year, this past Friday, some students in one class insisted that I should be the mummy. I allowed them, and two boys named Alex and Daho mummified me quite well. 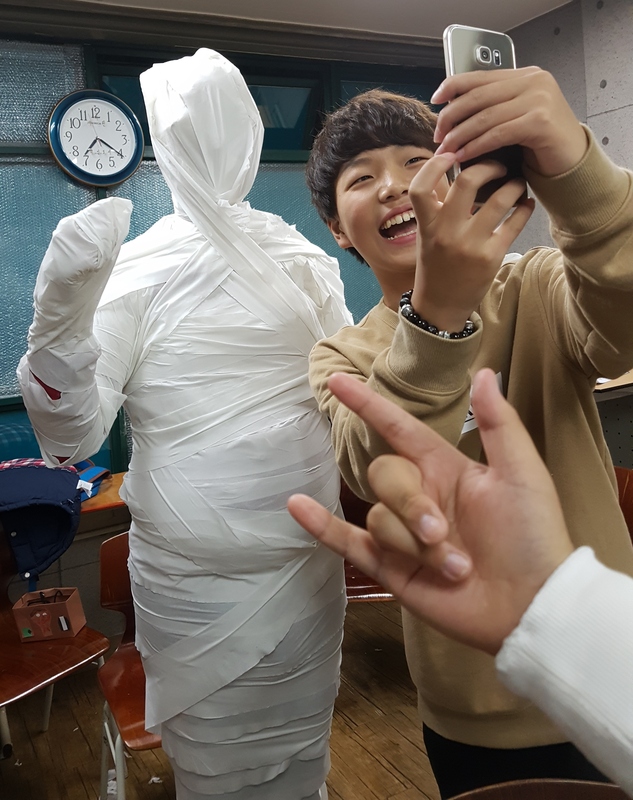 Daho took a picture of Alex taking a selfie with the mummy-teacher. Of all the student mummies produced, I believe Lucy was the best, as mummified by her friend Julia and Amy. Lucy was unusual of the student mummies, in that she didn't complain at all about being mummified. She seemed to enjoy it. She stayed perfectly still. This made her easier to mummify. One has to have a certain tolerance for claustrophobic feelings.